TAPA Students Finish Second Place in the East Coast Division for C-SPAN StudentCam Video Competition! 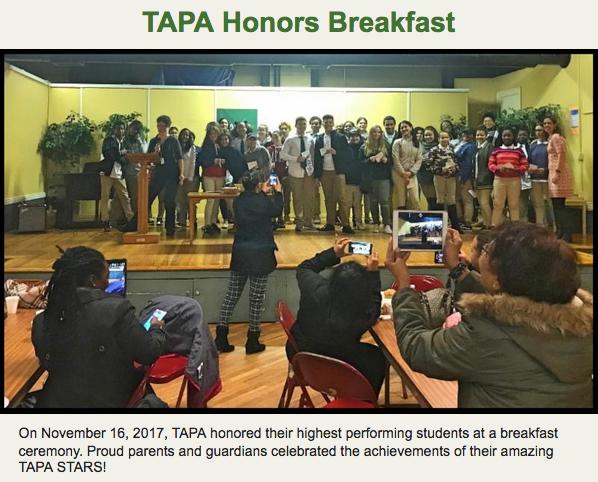 We are very excited to celebrate this achievement by TAPA's students, and invite you all to join us Wednesday, April 3rd from 11:30am-12:15pm when C-SPAN visits TAPA: Trinity Academy for the Performing Arts and awards TAPA students Raymond Baccari, Jovan Jimenez, and Aydan Santos. A TAPA student film was awarded Second Place-Northeast for the ​C-SPAN Student Cam 2019 contest. 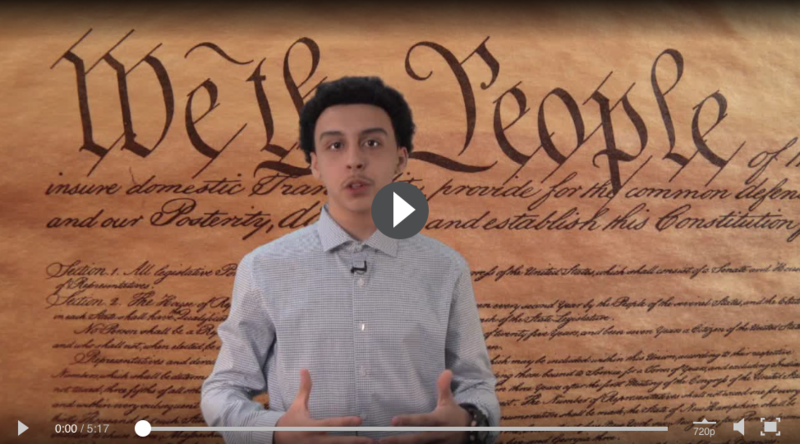 This film, “The 2nd Amendment - With Its UnBEARable Consequences”​, was directed and created by ​TAPA students Raymond Baccari, Jovan Jimenez, and Aydan Santos. They ​have spent the year meeting with politicians and critical figures in the state to create a mini-documentary on the second amendment and how it defines the American experience. Through relentless organization and outreach, and with the support of TAPA Film Artist in Residence Nick Marcoux, Raymond conducted in-person interviews with Senator Sheldon Whitehouse, Mayor Jorge Elorza, Congressman David Cicilline, Mayoral Candidates Dee Dee Whitman and Kobi Dennis, Lieutenant Governor Dan McKee, Speaker of the House Nicolas Mattiello, and WPRI journalist Tim White. Jovan and Aydan led the camerawork on this project. C-SPAN will be coming to TAPA on Wednesday, April 3rd from 11:30am-12:15pm to award Raymond, Jovan, and Aydan their $1,500 prize. C-SPAN will bring their media team, will screen the winning film, and present certificates and a big check to the winning students. Parents, Press and Community Members are invited to attend. Rhode Island recently published the RICAS and PSAT scores comparing the states educational achievement with Massachusetts, one of the highest performing states in the country. 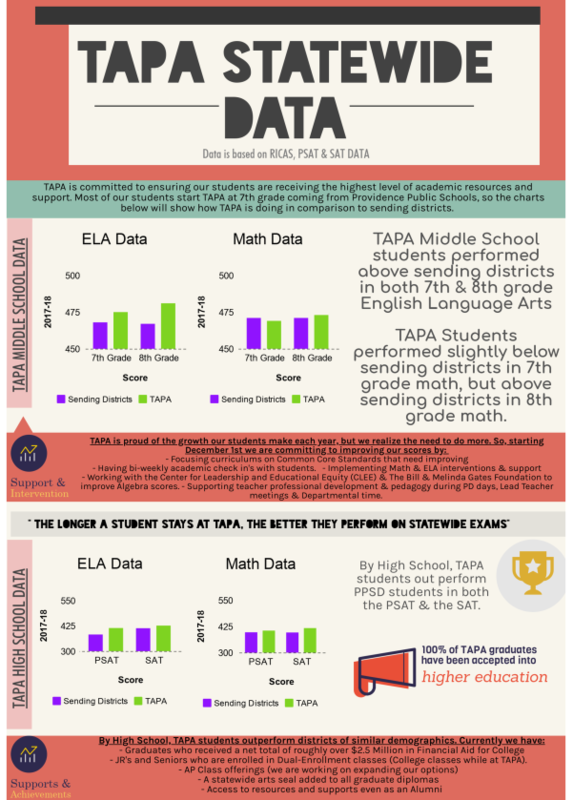 TAPA is committed to ensuring our students are receiving the highest level of academic resources and support and would like to share our data and next steps with you. 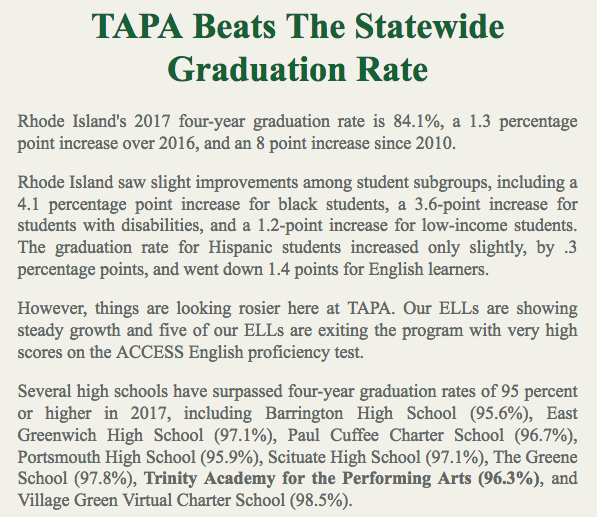 While we all have work to do to improve educational equity across the state we are proud of our TAPA students and ready to tackle the challenges ahead. 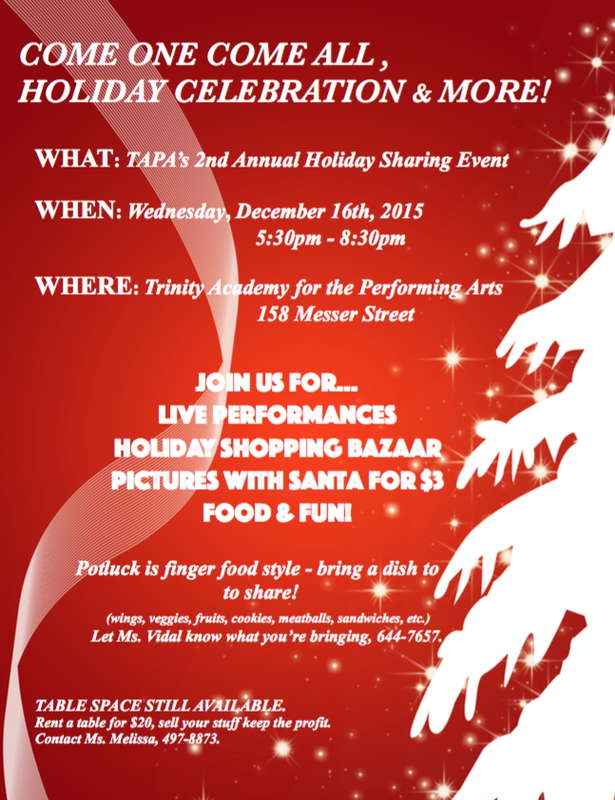 The Providence Gay Men's Chorus has chosen TAPA as their nonprofit partner to receive the proceeds from their Friday Night Holiday Concert, December 7th. The theme of this year's holiday concert series is "Can You Feel It?" Concert is multi-denominational, international, and family friendly. 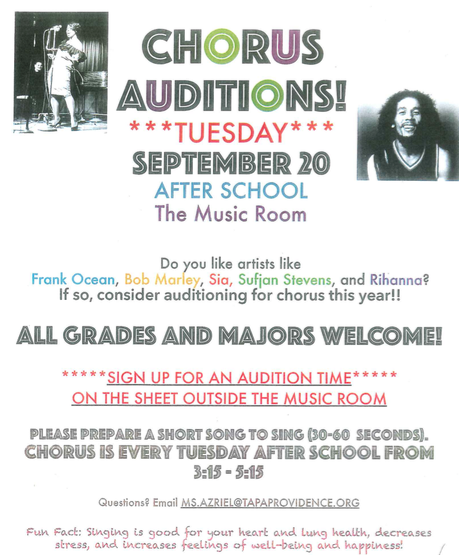 TAPA Music Majors will be performing! Tickets are $25 and available here. Comp tickets for students and discount tickets for parents available. CONTACT THE MAIN OFFICE OR CLICK HERE TO PRINT YOUR DISCOUNT TICKET COUPON. 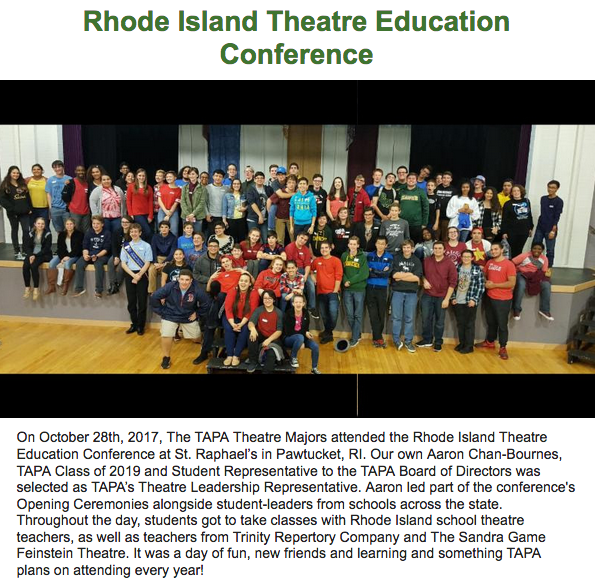 TAPA HAS THE 2nd HIGHEST ATTENDANCE RATE OF ANY SCHOOL IN THE STATE OF RHODE ISLAND!!! ¡MERCANCÍA ESCOLAR A LA VENTA! 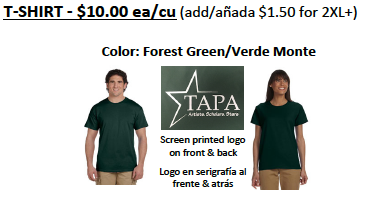 PRINT AN ORDER FORM BY CLICKING HERE OR PICK ONE UP IN THE MAIN OFFICE. IMPRIMA EL FORMULARIO DE PEDIDO HACIENDO CLIC AQUÍ U OBTENGA UNO DE LA OFICINA DE LA ESCUELA. 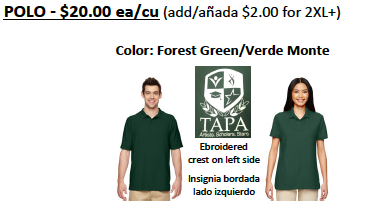 CHOOSE DESIRED ITEMS AND SUBMIT COMPLETED FORM ALONG FULL CASH OR CHECK PAYMENT TO MAIN OFFICE OR MR. SOUSA, DEAN OF STUDENTS. 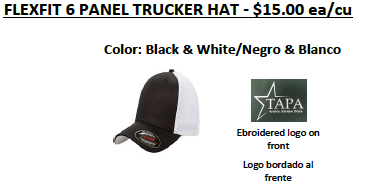 YOUR ORDER WILL BE PLACED WHEN RECEIVED AND WILL TAKE 2-3 WEEKS TO COME IN. SU ORDEN SERÁ HECHA EL DÍA RECIBIDA Y TOMORÁ DE 2-3 SEMANAS PARA LLEGAR. 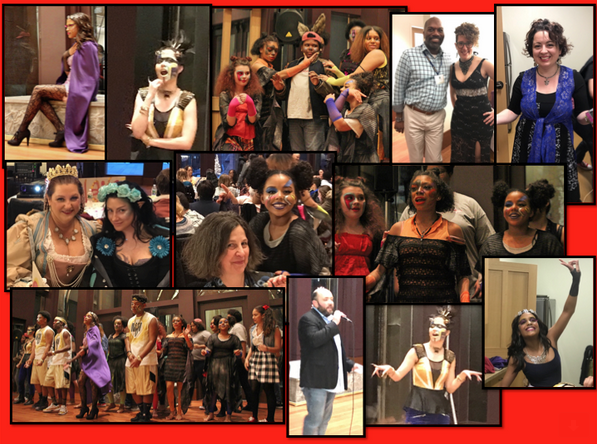 OUR TAPA THEATER MAJORS WERE BUSY THIS SUMMER! Kayla Ribeiro performed at YASI and Ms. Starr and Mr. White went out to see her. AND won a RI Monthly Best of Award! 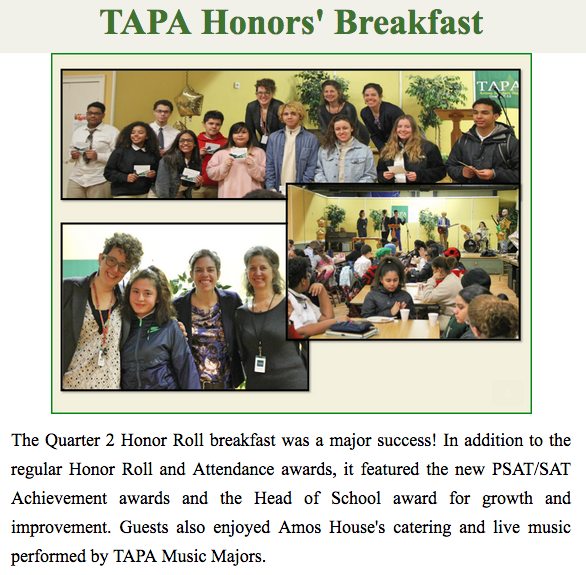 The Quarter 3 Honor Roll breakfast was a major success! Guests also enjoyed Amos House's catering and live music performed by TAPA Music Majors. 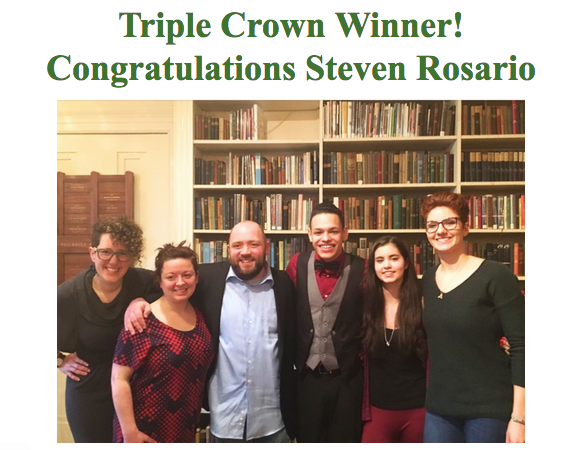 TAPA Senior Steven Rosario won the 2018 RI State Poetry Out Loud Competition held on Sunday, March 4 at the RISD Museum. Steven attended the national finals in Washington, DC. in April, where he met with RIs state senator. "Steven Rosario is a great student, and exceptional young man", said Senator Jack Reed. A successful first meeting was held of of TAPA’s Health and Wellness Committee! Our amazing Nurse Tuck gathered parents, Board Members, students and staff together on April 30th to discuss family wellness, obesity prevention, nutrition, health education, and much more. Check out the Healthy Ensemble Newsletter Volume 1 June 2018, an initiative of the TAPA Health & Wellness Committee written by TAPA's Nurse Lisa Tuck. Secretary of State Nellie M. Gorbea honored Sany Ramirez and Manuel Mejia from Trinity Academy for the Performing Arts this month with the 2018 Rhode Island Civic Leadership Award. The award is given annually at a State House Ceremony to high school students who have made outstanding contributions to their schools and communities over the past year. High Schools from around Rhode Island nominated two students who best meet the ideals of the award, including public service, leadership ability, and academic achievement. 148 students were honored for work ranging from volunteering to help end hunger and homelessness in Rhode Island to working with students with disabilities to leadership roles in their student government. Mr. David Sousa, TAPA's lead history teacher and Dean of Students, says that he nominated Sany and Manny based on their outstanding demonstration of school leadership, academic growth, and embracing the ensemble atmosphere of TAPA through their performing arts major of music. Sany and Manny have recently received excellent scores on the state's English language proficiency test and have exited the ESL program. Secretary Gorbea is working to increase knowledge of state history and how government works to engage more Rhode Islanders in their government. She is committed to engaging and empowering all Rhode Islanders by making government more accessible and transparent and encouraging civic pride. TAPA's English Language Learners have shown amazing progress in a short time. Five of our seventeen ELLs have exited the Academy's ESL program based on passing TAPA's rigorous course studies and the State's English language proficiency test: ACCESS 2.0. 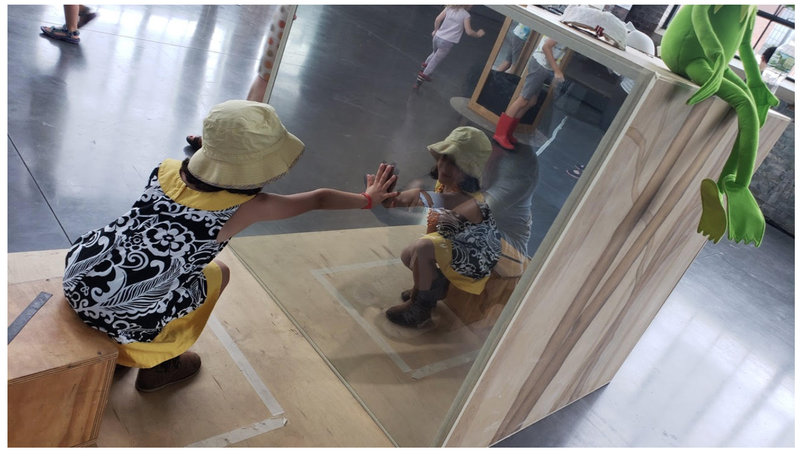 TAPA’s combination of an academic and performing arts curriculum has created an educational environment that allows our ELLs to thrive and develop their English Language Proficiency skills. Esdrizabeth Pereyra Cuello- Esdizabeth came to the US from the Dominican Republic in September of 2017. She began regular classes at TAPA with ESL support using the collaborative model. She has shown phenomenal progress in one school year at TAPA. Sany Ramirez- Sany came to the US from the Dominican Republic in 2012. Sany entered the Providence school system for one year and struggled with behavioral issues that impeded his academic growth. Sany was also struggling with his literacy skills - reading and writing. He began regular classes at TAPA with ESL support using the Collaborative Model in 2013. 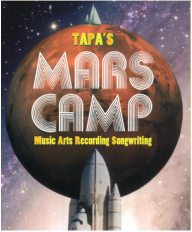 Sany credits TAPA’s music program for his amazing growth in literacy skills. He feels the structure and ensemble atmosphere of the school reversed his behavioral issues. Franlis Martinez- Franlis came to the US from the Dominican Republic in February of 2015 without any English skills. Franlis entered the Providence school system for one semester. He struggled and floundered socially and academically before transferring to TAPA. 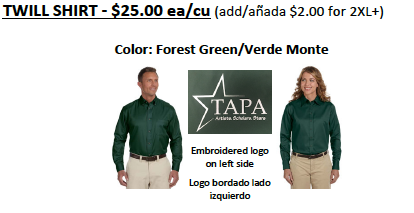 He began regular classes at TAPA September of 2015. Franlis is an honor roll student with a major in film. Camille Suarez- Camille came to the US from the Dominican Republic in September of 2015 without any English Skills. Camille entered the Providence school system for the 2015-2016 school year. She struggled socially due to being bullied for her Dominican accent. Camille transferred to TAPA in the 2016-2017 school year. She began regular classes at TAPA. Camille has chosen music as her performing arts major and ended the 2017-2018 year as the lead in the school’s musical production of A Midsummer Night’s Dream. Manuel Mejia- Manuel came to the US from the Dominican Republic in 2012. Manuel entered the Providence school system for two years. Manuel was struggling with reading skills and comprehension. Both his receptive and expressive domains were not showing much growth in proficiency. He began regular classes at TAPA with ESL support using the Collaborative Model in 2014. Manuel has thrived as a budding artist at TAPA. He recently performed a sax solo at the RI ELL Gallery Walk. On April 26, 2018 Sidney Walton, a 99-year-old WWII veteran, made the first stop of his National No Regrets Tour, in Providence RI, when he visited with students at the Trinity Academy for the Performing Arts Charter School (TAPA). Mr. Walton met with students from the 8th, 9th, 10thand 11thgrades, along with members of the Historical Perspectives Department and other faculty members. Mr. Walton’s son, Paul, answered many questions for his father and engaged in pleasant conversation with the students of TAPA. Students asked insightful questions of Mr. Walton ranging from his experiences before, during and after WWII, to what he has learned about life, having lived for almost a century. In 1941, Walton enlisted in the Army and soon he was off to northern India where he says he served with the infantry throughout World War II. The catalyst of his enlistment was his concern over Hitler’s atrocities, which resonated with him as a young man with a Jewish heritage. Mr. Walton is embarking on a 50-state capital tour of the United States. TAPA is honored to be chosen as the first school and students for him to meet on his historic mission. His son explained that one of the biggest regrets he has in life is that when he was a young man, he missed out on the opportunity to meet with Civil War veterans in his home state of New York. Because of this regret, he has decided to tour the country and give anyone and everyone, the opportunity to meet a WWII veteran. While Mr. Walton and his son thanked the students for allowing him to come and spend time with them, Mr. Sousa, one of the Historical Perspectives instructors and Dean of Students, commented “it is not you who should be thanking us, it is us that needs to be thanking you. If not for what you did and your service, we would not be here, so thank you very much.” With this comment, students loudly applauded Mr. Walton. Sidney and his son will continue their tour in Boston. For more information on Sidney Walton’s tour, go to gosidneygo.com. TAPA Stars on Stage at Trinity Rep! 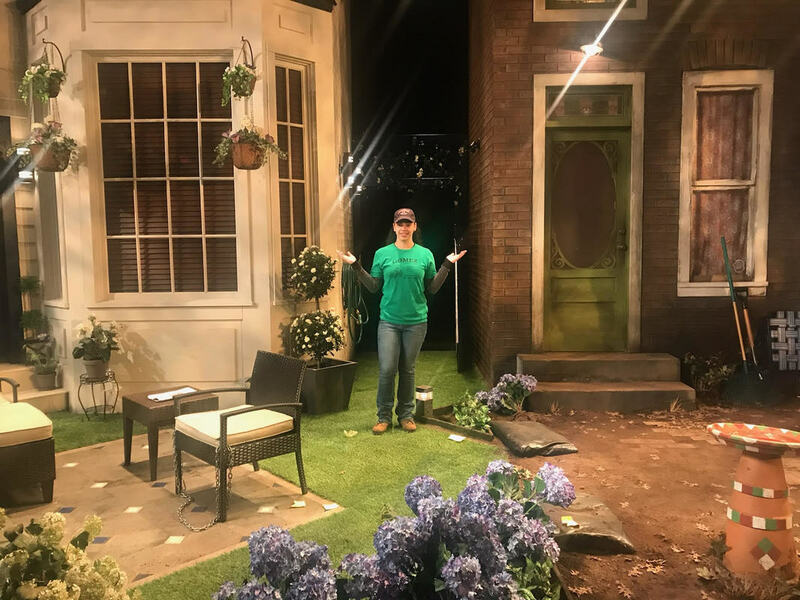 10th grade Theater Major Scarlet Rosario on the set of Native Gardens at Trinity Rep.
TAPA Theatre Major Scarlet Rosario and TAPA Theatre Alumni Jeremiah Matos were both in the recent show, Native Gardens at Trinity Repertory Company. They performed during the entire run of the show. The TAPA community is very proud of them and the hard work they put into the show. 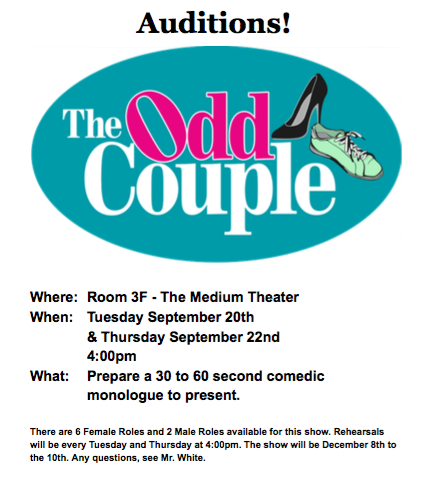 We are also very honored that Trinity Rep offered them this opportunity. Congratulations to both of our students. VOTE, VOTE, VOTE for TAPA's own Karla Rodriguez-Bogaert on the PBS Talent Search, Celebration of Music ("a brand new PBS talent series that showcases and celebrates the best young musical talent present in the U.S. today"). It's quick and free and encourages one of our amazing TAPA Stars. Karla Rodriguez-Bogaert for the win! Every member of our Ensemble stood up in their own ways to demand safety in our schools. Whether escorting students safely to-and-from the protests (which was done by staff and by Board Members), or sign making, or leading the dance pit on the snowy Statehouse steps, or maintaining a positive space for learning back at TAPA, this could not have happened without our incredible staff and students, and the support of our Admin, Board, and communities locally and nationally. 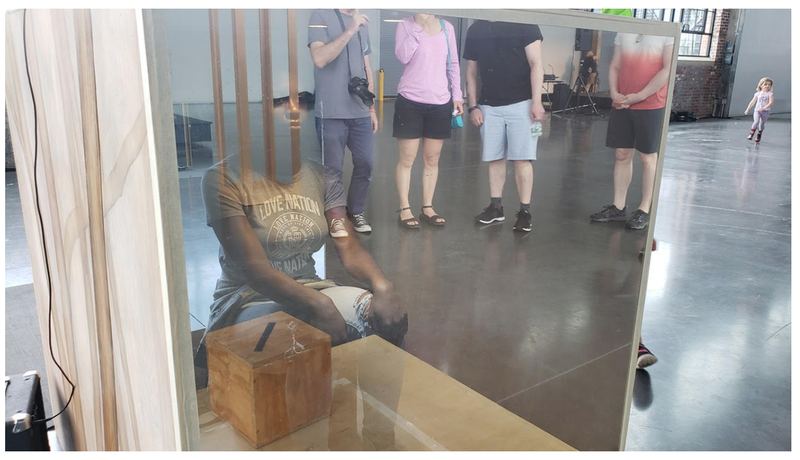 This video, by TAPA Resident Artist Nick Marcoux, about our silent morning walkout - 17 Minutes for 17 Lives - will bring tears to your eyes. 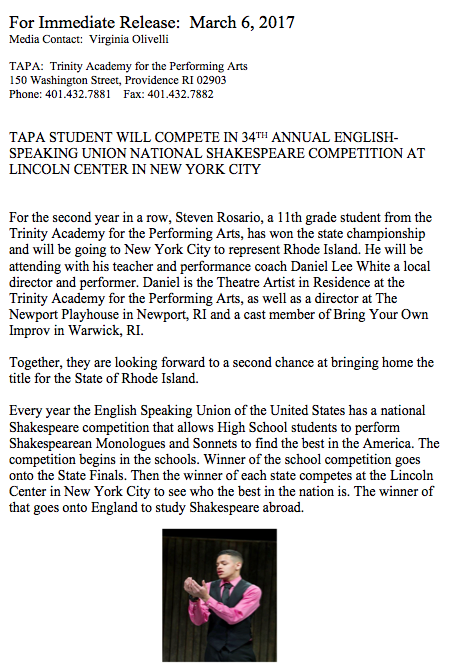 This month, Steven Rosario is heading to New York City to the English-Speaking Union National Shakespeare Competition for high schoolers – for the second time. Last year, he was a semi-finalist. 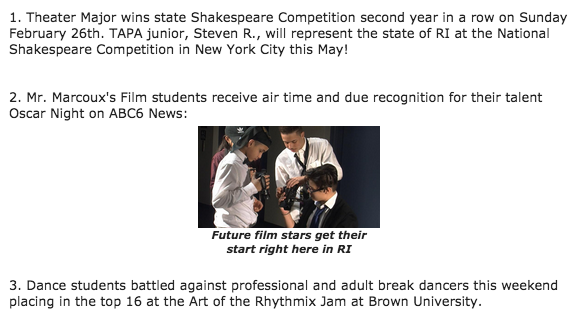 This year’s win in the state competition, Steven says, has helped convince him of his own acting skills: “I realize that it’s not a fluke.” .....click here to read the full article. 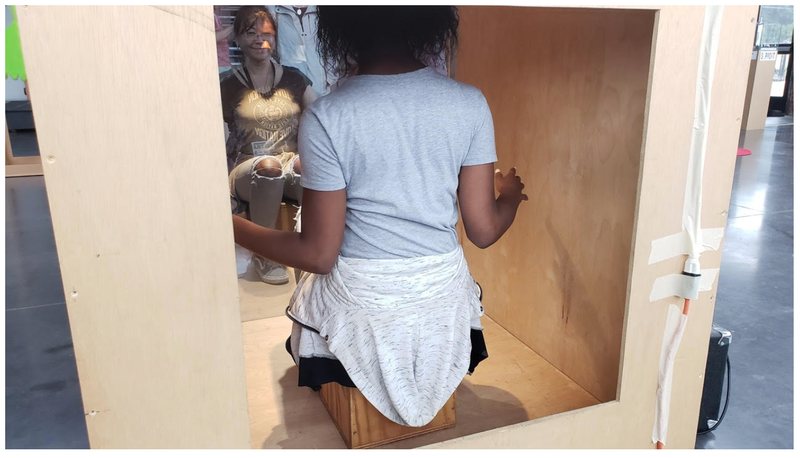 New Urban Arts is submitting an application for a 21st Century Community Learning Center program in partnership with Central High School, Classical High School and Trinity Academy for the Performing Arts. Founded in 1997, New Urban Arts is a nationally-recognized community art studio for high school students located at 705 Westminster Street in Providence, RI. Our mission is to build a vital community that empowers young people as artists and leaders to develop a creative practice they can sustain throughout their lives. Our free programs include after school programming from October through May and a five week summer program. This application will be available for public view on April 24th on this website. 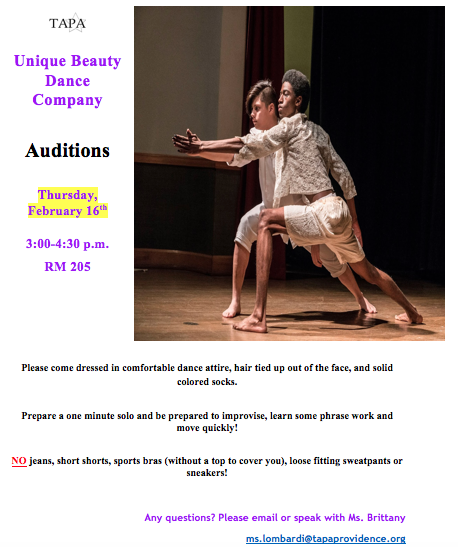 This announcement is also being posted publicly at Central High School, Classical High School, and Trinity Academy for the Performing Arts. 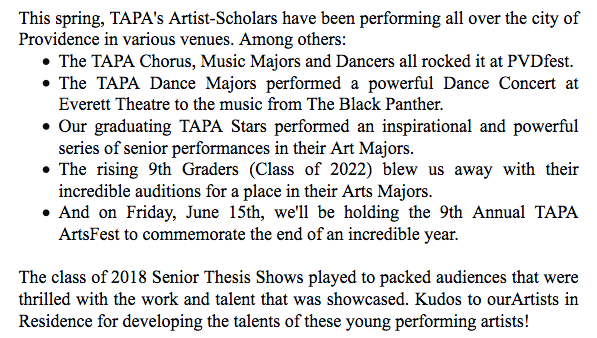 TAPA STUDENTS MAKING STRIDES IN THE CITY! TAPA RELOCATES TO DOWNCITY PROVIDENCE! 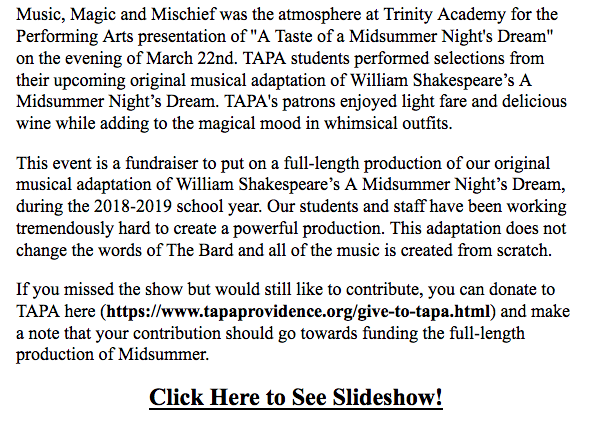 While its students were home and enjoying the holidays, TAPA: Trinity Academy for the Performing Arts, a premier public charter school, found itself suddenly homeless. TAPA’s former school building, built in the 1890’s and located in the West End, sustained significant structural damage in late December and was declared unsafe for habitation. In spite of around-the-clock construction and repair work, it became clear in early January that repairs would not be completed in time for the school year to resume. TAPA Administration was notified of the dire construction situation two days before students were scheduled to return from the holiday break. 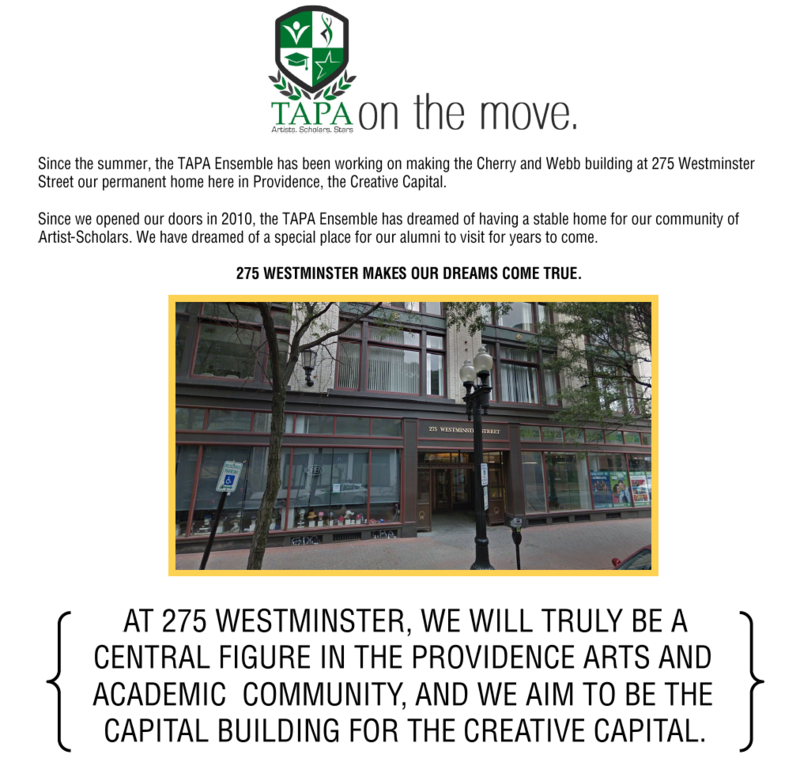 The move to 150 Washington Street “sets the stage” for TAPA in Down City Providence, being within walking distance of some of the state’s finest colleges and arts institutions. 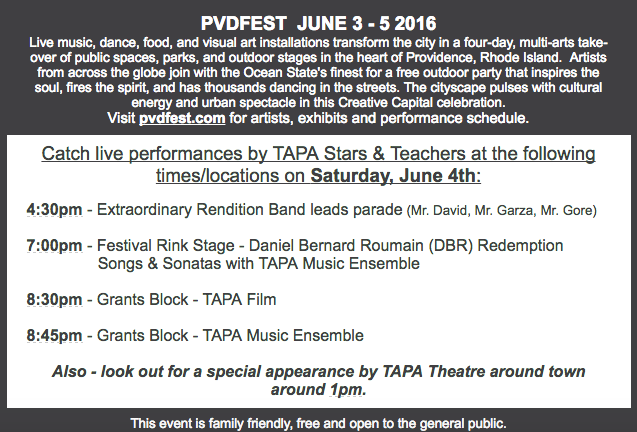 TAPA looks forward to finding its pulse in the beating heart of The Creative Capital. The TAPA building is undergoing necessary repairs. Classes for all students have been cancelled during these repairs. Families will receive daily updates starting 1/3/17. 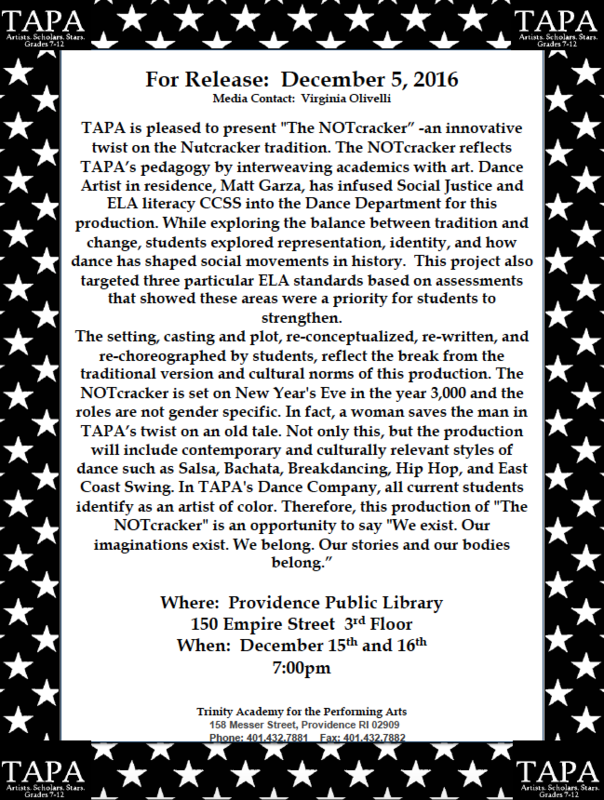 On December 15th & 16th at 7:00pm, 9 - 12 grade Dance Majors are putting on "The NOTcracker" - an original contemporary adaptation of Tchaikovsky's original score re-conceptualized, re-written, and re-choreographed by students! It will be culturally relevant and take place in the year 3000. 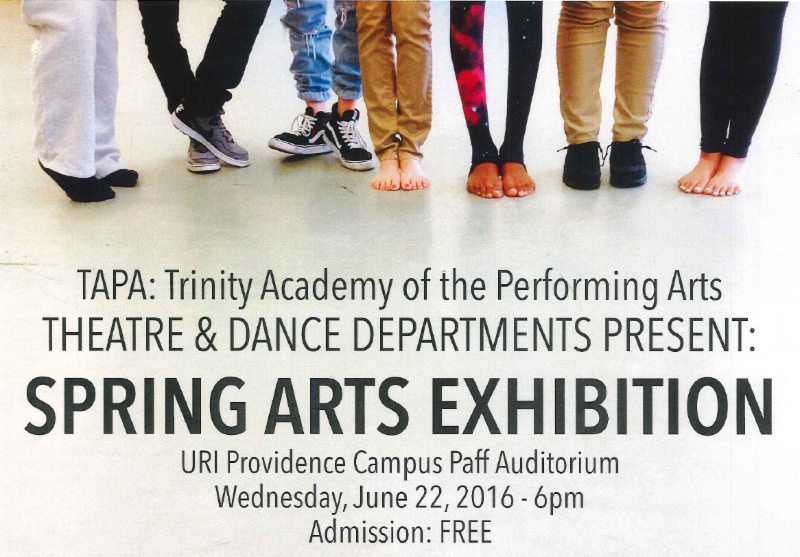 Both performances will take place at the Providence Public Library Auditorium, 150 Empire Street, 3rd floor. Tickets are "pay what you can". Come support FIERCE YOUNG ARTISTS OF COLOR! 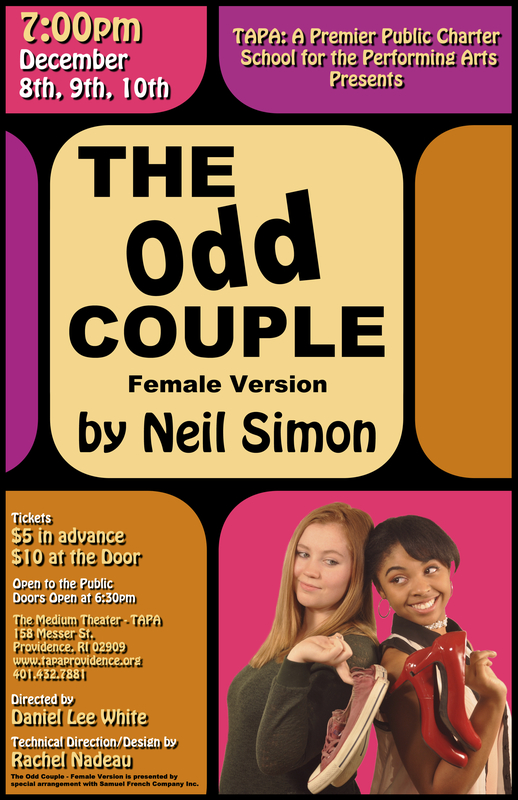 On December 8th, 9th & 10th, TAPA will be presenting The Odd Couple - Female Version at 7:00pm. 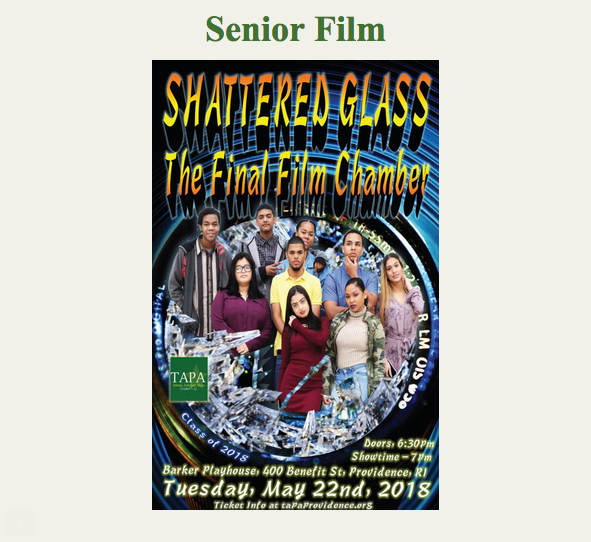 This hilarious comedy about two roommates who could not be more different stars Aidan Robinson, Idallis Taylor, Ruth Gardinet, Ana Martinez Vargas, Kayla Ribeiro, Amanda Cardenas, Jeremiah Matos & Jordan Corporan. Tickets are $5 in advance or $10 at the door. There is limited seating, so we recommend you buy your tickets online in advance. Come on out to laugh and have a great time! TAPA has asked RIDE for a charter expansion, an opportunity to grow the Ensemble and reach even more Providence students. 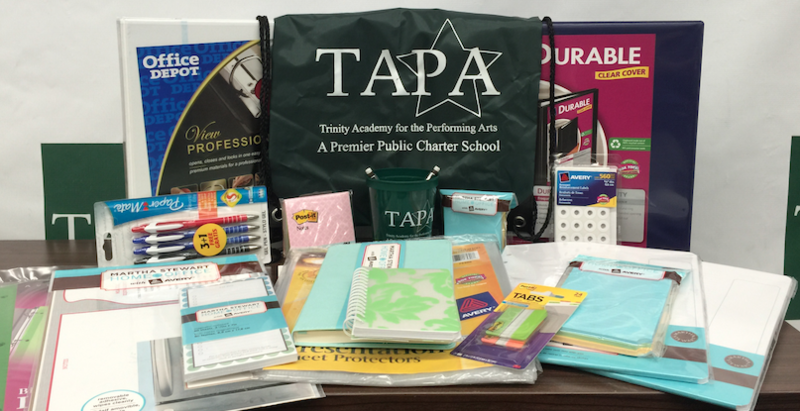 Please read below how the expansion can benefit our school and how you can help support TAPA during this process. Hearings will be held in October and November. We hope you will attend one of these hearings and speak about how awesome TAPA is! WHY ASK FOR AN EXPANSION? If we are granted this expansion, we get to bring on more staff, serve more kids, bring our dream of a new building closer to reality, and launch a visual arts program. It would be a truly wonderful new chapter in TAPA's history, while still maintaining small class sizes, a tight-knit community, and all the other awesome things that make TAPA, TAPA. The details can be found here. 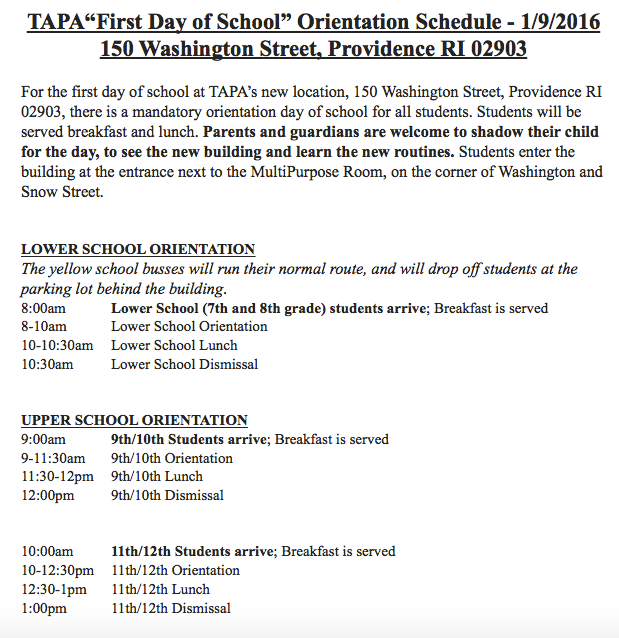 You may also contact Assistant Head of School & Dean of School Culture, Elizabeth Richards-Hegnauer with questions, ms.richards-hegnauer@tapaprovidence.org. As per Rhode Island General Law §16-77.3-3(b), the Rhode Island Department of Education would like to invite all interested parties to participate in public hearings and submit written comments concerning the Requests for New Charter Applications and Requests for Expansions. Public comment period for Requests for New Charter Applications and Requests for Expansions is in place from September 30, 2016 - December 1, 2016, with the exception of Wangari Maathai Community School, for which the public comment period will end on December 9th, 2016. 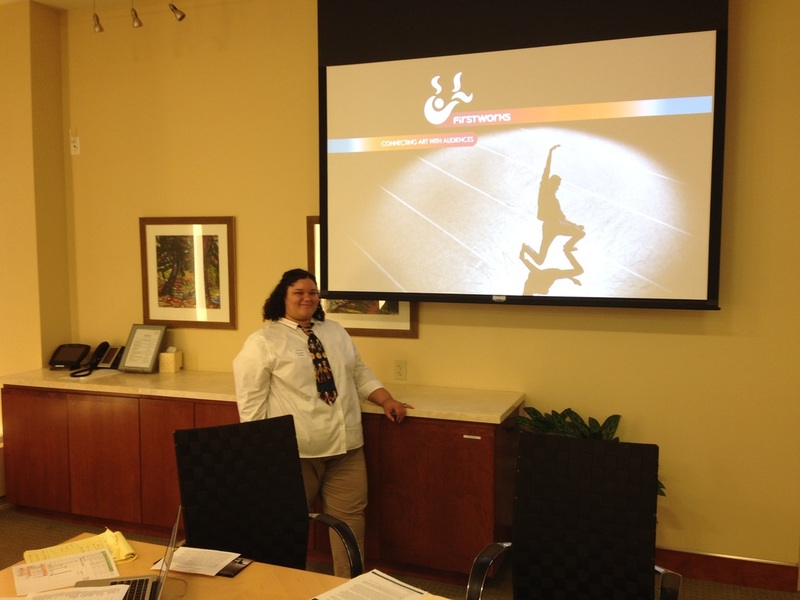 The hearing locations are accessible to the disabled. Translation and interpreter services for the hearing impaired will be provided if requested one week prior to the hearing. Requests for this service can be made in emailing RICharters@ride.ri.gov or by calling RI Relay or RIDE at 401-222-8255. Written comments may be submitted to RICharters@ride.ri.gov at the RI Department of Elementary and Secondary Education, 255 Westminster Street, Providence, RI 02903, or by faxing 401-222-3465. TAPA STAFF WILL BE AT BOTH HEARINGS. WE WOULD BE SO APPRECIATIVE IF YOU'D PLAN ON COMING TO ONE OR THE OTHER! Final grades for all students have been posted! ¡Las notas finales han sido publicadas! 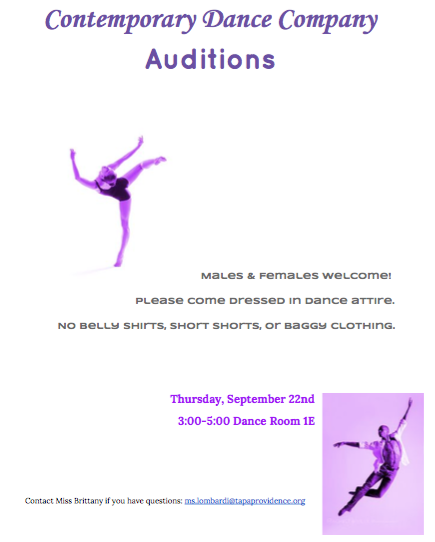 Contact the main office if you have any questions or need account log in information, 432-7881, 9 - 2pm, Monday - Thursday. Puede llamar a la oficina si tiene alguna pregunta o necesita informacion de acceso, 432-7881, Lunes a Jueves de 9 - 2pm. The class of 2016 is TAPA's first graduating class. Students culminate their journey at TAPA graduating as Majors in the Art of Dance, Film, Music & Theater. 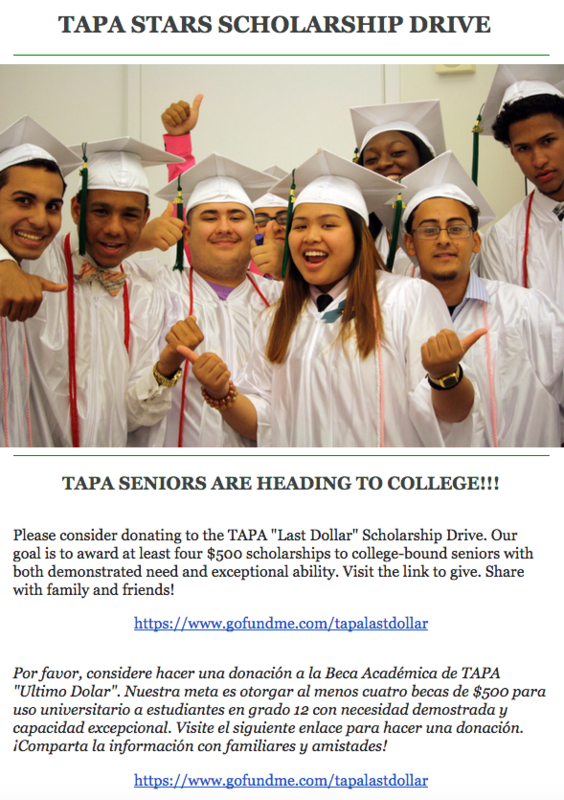 TAPA Seniors received over $250,000 in merit scholarships from the schools above. 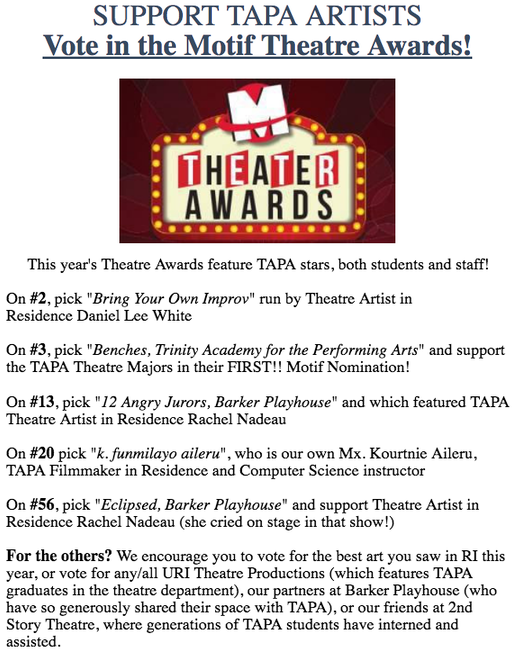 TAPA Student Featured in RI Monthly! 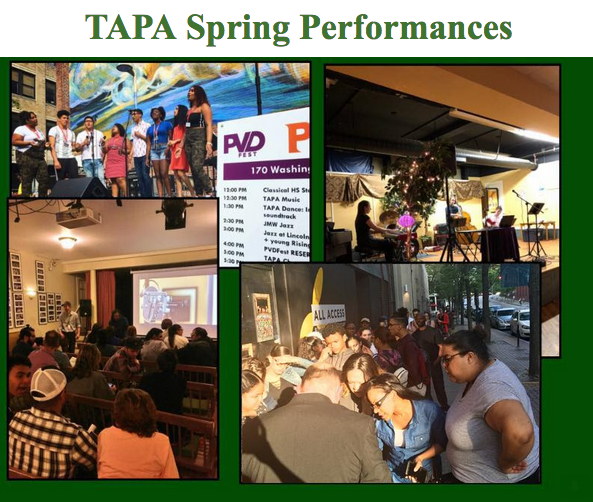 TAPA Celebrates Student Achievement in the Arts! PROVIDENCE, R.I. — They've long played before audiences in and outside Providence, but on Sunday a group of veteran rhythm and blues musicians were thrilled to share a small stage with a handful of local school kids. That's because the students from Trinity Academy for the Performing Arts got their chance to learn how to play keyboards, drums and guitar thanks in part to these veteran musicians, members of the Rhode Island Rhythm & Blues Preservation Society. As vice president Max Whiting explained when he stepped up to the microphone, the society donated instruments to the charter school to bolster its music program. "Right now you are going to listen to the fruits of our labor," said Whiting, in introducing the students. The student band, with four musicians and two vocalists, quickly launched into Sam & Dave's 1969 hit "Hold On." "C'mon everybody! Let's help them out," said Whiting, urging the audience of about 50 to clap their hands. "All right! All right! All right!" When the students, after alternating their band lineup, finished up a playlist that included Stevie Wonder's "Superstitious" and The Temptations "Ain't too Proud to Beg," performer Jessica Michicoj sat down with a smile. "We wouldn't be able to do anything without the instruments," Jessica, a senior at Trinity, said after playing donated drums on several of the numbers. "I think it's awesome." The nearly decade-old preservation society has long been running its "Instruments for Children Program," which seeks donations of guitars, violins, drums and more and then offers them to school music programs that typically struggle due to budget cuts. But Sunday was the first time that the students who got to learn and practice on these instruments had the opportunity to perform for — and share the stage with — veteran musicians from the society. "It's a very good program. I love to see what happens to these instruments," said veteran blues drummer Randall Ashe. After the students played, Ashe took the stage with a quartet that included Whiting, Bob Greene and Paul Doucette. Whiting's wife, Sylvia, who is secretary/treasurer for the society, said many school music programs were decimated during the Great Recession, to the point that they didn't even seek instruments. But several of them, including Woonsocket, are now trying to revitalize their programs and seeking instruments again. "Some of these kids can't even afford to rent an instrument for a month," said Tom Colantonio, who runs the program for the society. He encouraged people to donate instruments "rather than just throw them out or bring them to a yard sale." 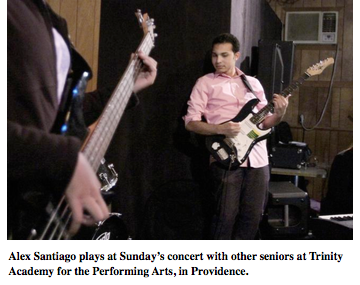 Alex Santiago, a Trinity senior who played lead guitar on The Temptations number, said he was fortunate to own his own guitar, which he used at the concert. But he and other students at Trinity use the donated instruments at the school all the time. "Without all of these donations, we wouldn't be making all of this amazing music," Santiago said. Avi David, Trinity's musician-in-residence, took the microphone between songs performed by his students to thank the society for the donations. Speaking of his students, he said, "We are so proud of how far they've come." ​"Viola Davis' Emmy Acceptance Speech Strikes Chord With RI Students"
first female of color to win best actress in a drama. "Honestly, I think it's inspiring that people from your neighborhood can prosper and rise to that level,” TAPA senior Preston Powell said. "Now, we can say that somebody made it,” TAPA sophomore Steven Rosario said. “It sets the bar high, but think what we can accomplish." The name Richard Jenkins isn't as well known, but students know his face. He won his first Emmy after years of working hard in Hollywood and at the Ocean State's Trinity Repertory Company. Jenkins, along with Davis, got their start at Trinity Rep. Jenkins even served as their artistic director. "To some degree, it’s like just keep working. Success might not happen right away,” said Tyler Dobrowsky of Trinity Rep. The children might even get a chance to meet Jenkins when he helps direct “Oklahoma” in the spring. “He came from Rhode Island, so I want to know how he did it so I can possibly follow that path too,” TAPA sophomore Idallis Taylor said. Davis and Jenkins reminded them that anything can happen and even the smallest state has the ability to shine bright. TAPA Film Majors Accepted to the Vassar College Film Festival and the 401 Film Festival! Senior Film Majors, Preston Powell & Abe Vargas, have done it again! The dynamic duo had their recent work featured in the RI College Film Festival sponsored by the Ocean State Film Society. The film has also been added to the Vassar College FilmFest line up in October and will open the RI 401 FilmFest on November 13th at the The Artic Playhouse in Warwick! The documentary "Strangers", brainchild of Preston Powell, features its creator conducting "man on the street" interviews in the heart of Providence. TAPA celebrates this achievement and congratulates Film Artist in Residence, Nick Marcoux and his majors, for shining like true TAPA Stars! Visit the TAPA Stars YouTube Channel for the latest from the Film Department. month and will be featured in their next issue. students, Mr. Dodd, and Ms. Azriel. aired on Cox Channel 13 on 9/14. take on how the FirstWorks - TAPA partnership has shaped her as a musician. Way to go Jaymi!